When I was six years old, I went to a wildlife park with my parents and fell in love with the meerkats. There was something wonderful about them and when my mum asked me if I'd like to sponsor one, I almost died of excitement. We filled in the form and paid the money and then I asked when I would get my meerkat to take home. Cue lots of explaining, tears and another sad realisation that life isn't as straightforward as my six-year-old self wanted to believe. 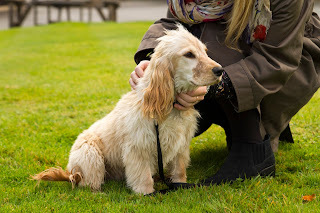 Thirty years on, not much has changed... except this time around I'd like to introduce you to Hebe – a Hearing-Dog-in-training – who I have sponsored with Hearing Times in return for writing my column for them. Sadly, when I met Hebe last week, despite much efforts to coax her into my handbag, I did not get to take her home. But I am, I've decided, her dogmother, which really is an honour. Hearing Dogs are more than just pets – they're companions, confidence boosters, friends and above all ears. But getting them to be good ears for humans, getting them to pay attention to door bells, fire alarms and alarm clocks, when they'd probably much rather be chasing a ball or sleeping, requires training – and love. And that is what I saw in abundance when I visit Hearing Dogs for Deaf People southern headquarters The Grange in Buckinghamshire. Training, love and so many happy dogs – dogs really do smile there. And Hebe? I fell in love with her. This little bundle of excitement and energy – happy and willing to engage with everyone, especially if they had a treat in their hand. I honestly felt like I'd received the best hug ever after 10 minutes with Hebe. She made me smile and made me feel unbelievably happy. And that was just in 10 minutes... imagine the difference she'll make when she goes to live with a deaf person full time. 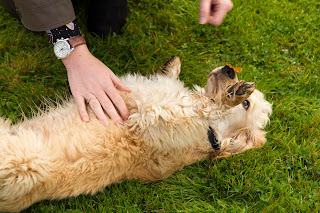 One of the things I did while at Hearing Dogs HQ was go on the weekly tours that they do for the public – you can find out about them here. On the tour, you got to see where the puppies have their classes, where they sleep if they're weekly boarders, and then two brilliant trainers demonstrated a dog at work – it was amazing. They showed how a dog will wake you up when your alarm clock rings by jumping on your bed and how if the phone or doorbell rings, they will come and get you and let you know. It was so so clever and the dog and her trainers were brilliant. All the things that leave me feeling incredible isolated when I am at home alone are things that Hearing Dogs can help with. 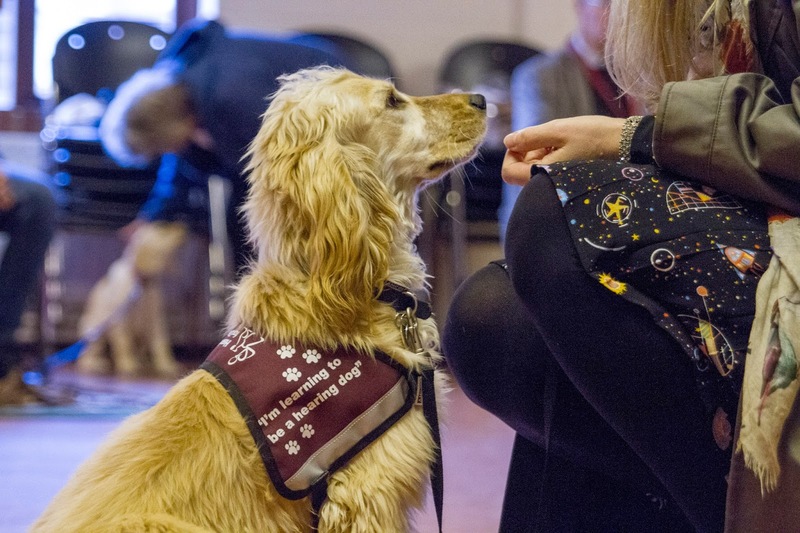 It's not just training and love that are needed when it comes to helping a puppy become a Hearing Dog – it also costs money. The charity commits to that dog for its entire working life. And it was a no-brainer really to decide to sponsor a Hearing Dog. One day I hope to have one of my own, and reading about how other people's lives have been changed, and hearing them talk about it in person is really moving. As the real me, I've been donating to Hearing Dogs every month for the last five years. I pay just £3, which is about the same as I drop on a takeaway coffee when I'm having trouble waking up in the morning. You can read about the different sponsorship options here – with your sponsorship you get regular exclusive updates, and lots more. And the best thing is, you can sponsor Hebe too. I have to share her, which means she can have loads of dogmothers, dogfathers, sisters, you name it – so if you want to help her on her journey to being a fully-fledged amazing Hearing Dog, find out how here.